Hello friends, today I have an "Oldie but Goodie" from Bug-A-Boo Stamps for you. This image is called Make it Snappy Birthday Kitty Trio. It comes in a regular digi and a pre-colored digi which makes for really fast card making! The paper is from DCWV. 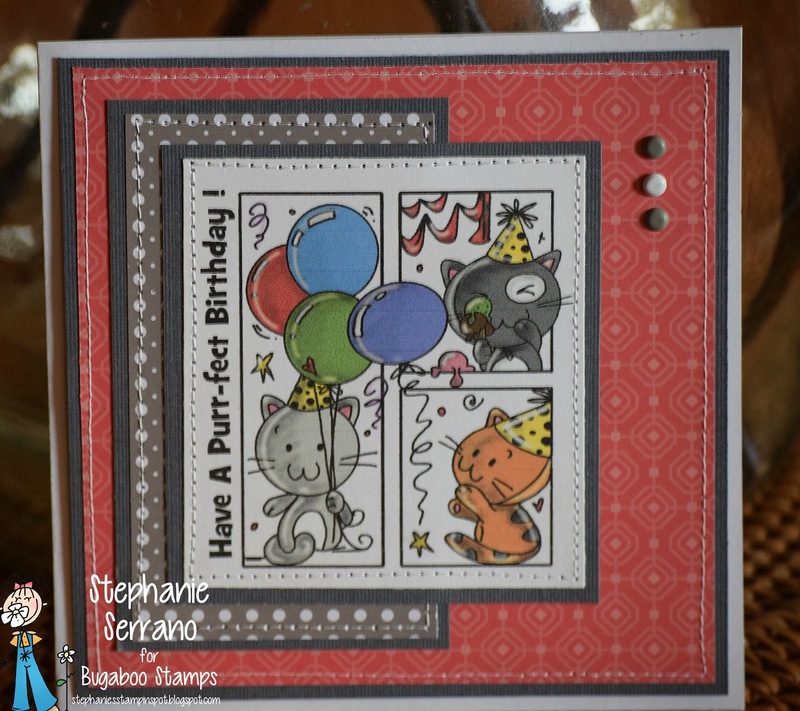 Head on over to the Catch The Bug blog and see what a couple of the other DT members have done for Oldie but Goodie Day! Stephanie, this is a wonderful birthday card. Love the bright colors. Adorable, and I like these oldies...great card, and thanks for sharing with us at 4 Crafty Chicks.